Issue: Both the lack of available internet access and/or options has been a major challenge for businesses in the Benicia Industrial Park. The Benicia Industrial Park Association has been working with the City of Benicia for years in order to improve internet availability for our businesses. AT&T met with the BIPA trustees to inform them of AT&T's corporate goals and plans and how the Benicia Industrial Park fits into those plans. AT&T has made it a corporate goal to invest in the Business Parks in America and has apportioned 14 billion dollars to that cause. The Benicia Industrial Park is scheduled to be upgraded during second quarter of 2014. Please see the attached power point from AT&T for more information on these changes. Mario Giulliani along with Steve Blum, president of Tellus Venture Associates gave a presentation to the City Council outlining the plan to bring broadband into the Benicia Industrial Park. This plan includes sending out request for proposals to many different internet providers, with the promise from the city of up to $750,000 in funding, to bring broadband to the Benicia Industrial Park. 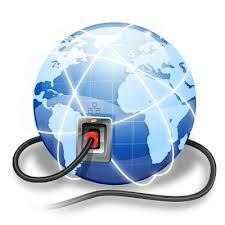 Proposals are due back in November 2013.
internet infrastructure and availability for the BIP. Unfortunately, the local Internet providers claimed that the cost of infrastructure was too great and would not provide enough return on investment to make any such project possible.